P.E.R. 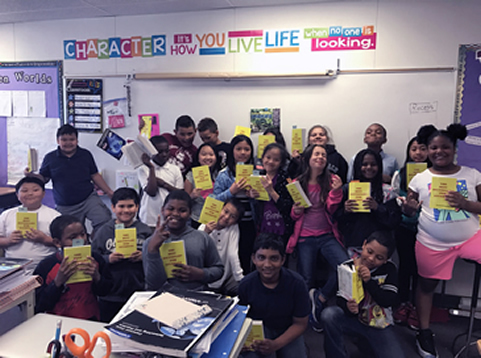 Steven Clazie and Youth Activities Chairman Enrique Ruiz handed out dictionaries to each student in Ms. Tayler Trew's Class at Cesar Chavez School in April 2017. The goal of this program is to assist all students in completing the school year as good writers, active readers and creative thinkers by providing students with their own personal dictionary. Each year our Lodge gives hundreds of dictionaries to our local schools. Troop 259 proudly welcomes its 175th. 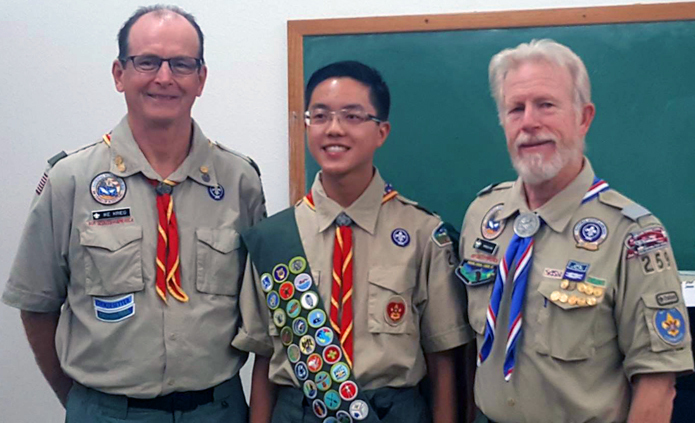 Eagle Scout Eli Kwong flanked by mentors and past Scoutmaster Ike Krieg (left) and Scoutmaster Bill Kirk (right). Troop 259 was formed in 1966 and today is sponsored by Sacramento Elks Lodge #6.